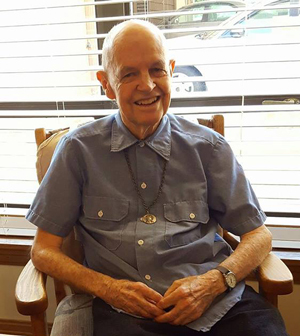 Father James “Pablo” Burke, C.Ss.R., died November 4, at the St. John Neumann Residence (Stella Maris) in Timonium, Md., at age 88. Father Burke was born on June 16, 1929; professed on August 2, 1951; and ordained a priest on June 17, 1956. The wake is set for 10:30 to 11 a.m. Thursday, November 9, at Stella Maris Chapel, 2300 Dulaney Valley Rd., Timonium, MD 21093-2739, with the funeral to follow.